How to Remove Pilling: with Plastic Tapes? This perhaps is the easiest and fastest way to remove pilling. Place the sticky side of the plastic tape (or sticky tapes), pull bobbies off against the fabrics, most of the pilling will be stuck on the tapes. The flip sides of plastic tapes, however, are they can only cover a small area, unless you keep on rolling. Also tapes are not considered environmentally-friendly. Spread the clothes on table or across a flat surface so that you can pull fibers as taut without stretching the garment too much. Place your razor and go over the clothes gently, and shave the pilling away from the fabrics. 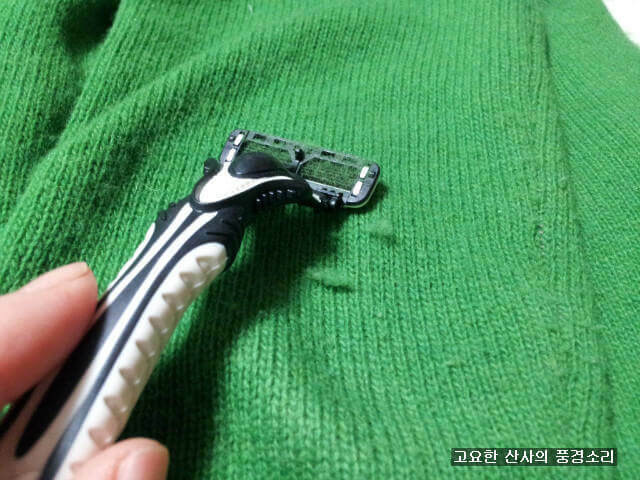 Be more careful when shaving around the seams, buttons, and stitching, or else the shaver will harm the fabrics. Kitchen items can be used to remove pilling too! 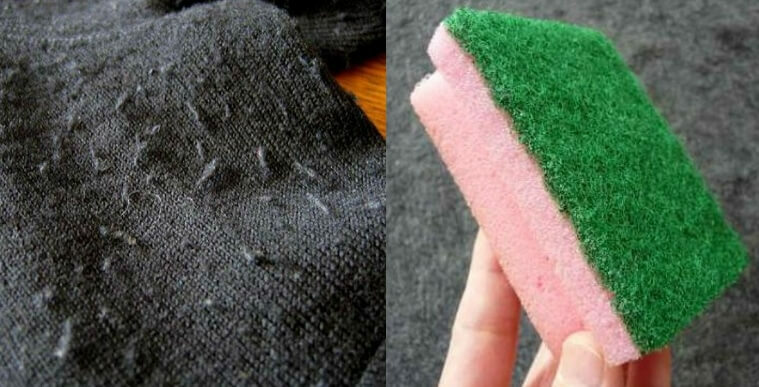 Dry sponge, those half-and-half sponges with a rough scrubbing side, is the one. 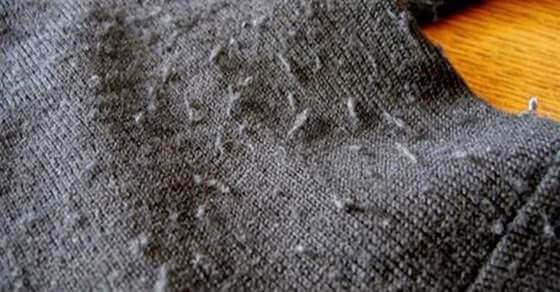 Rub the rough side of the sponge along the fabrics gently, the pills should get caught in the sponge material. But before using, make sure the dry sponges are dry and clean! Wash with Care: Pills can form due to rubbing or abrasion during the washing process. Put the clothes into washing bags (or used stockings) before washing, these should help reduce the friction and pilling. Conditioning with Lanolin: Like conditioning the hair, lanolin is a natural oil found in wool and is the ‘conditioner’ for fibers! Pick a woolen fabric wash that contains lanolin, this will keep fibers strong and less likely to break and pill!